V.T. 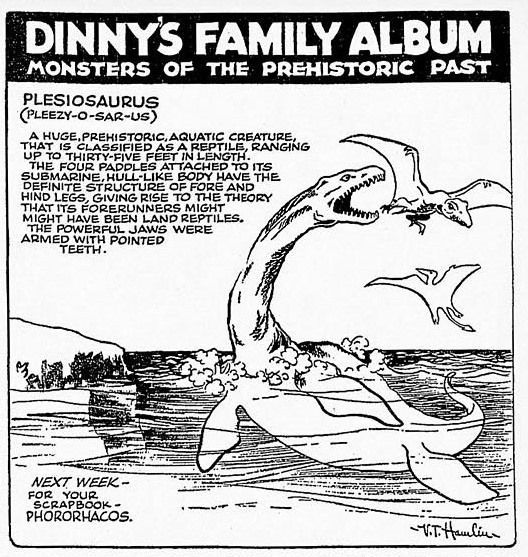 Hamlin’s Dinosaurs: Prehistoric Swimming Reptiles! 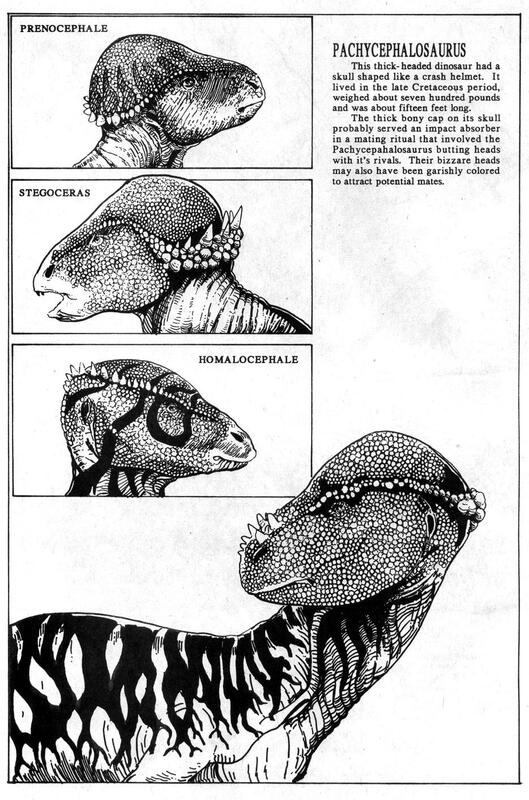 Today we take a look at all the Swimming Reptile features from 1934-1936. Enjoy! 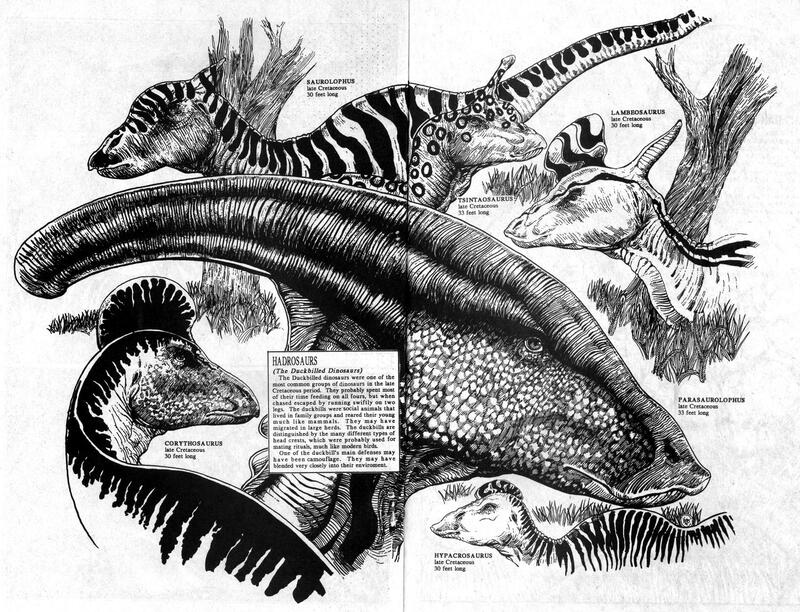 Today we take a look at all the Dinosaur features from 1934-1936. Enjoy! 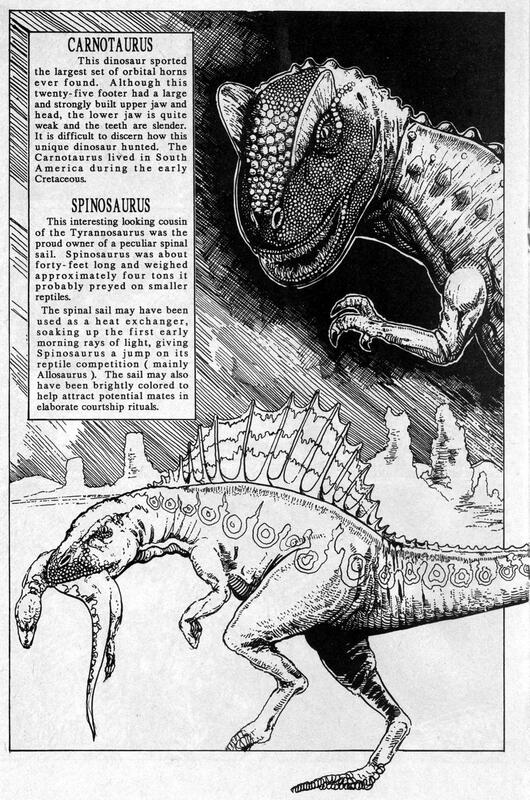 Charles Yates’ Dinosaurs: Swimming Reptiles! 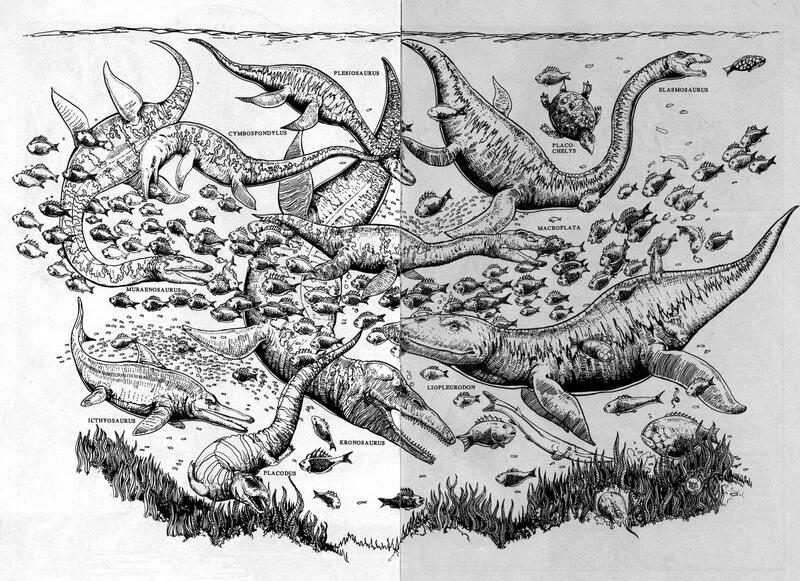 All kinds of prehistoric swimming reptiles grace the stage today: placochelys, elasmosaurus, plesiosaurus, cymbospondylus, muraenosaurus, ichthyosaurus, placodus, kronosaurus, liopluerodon, and macroplata! That ought to teach you not to go swimming in the deep end! 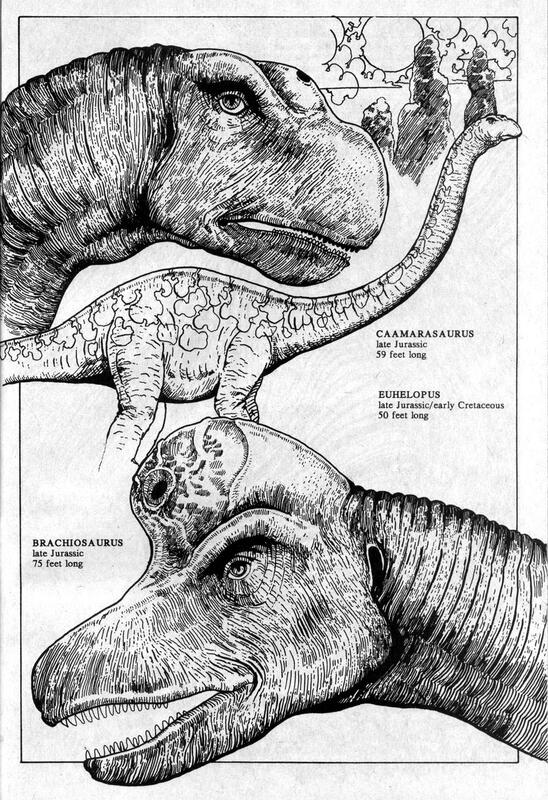 Appearing today with Brachiosaurus are special guest stars Camarasaurus and Euhelopus! Yes! 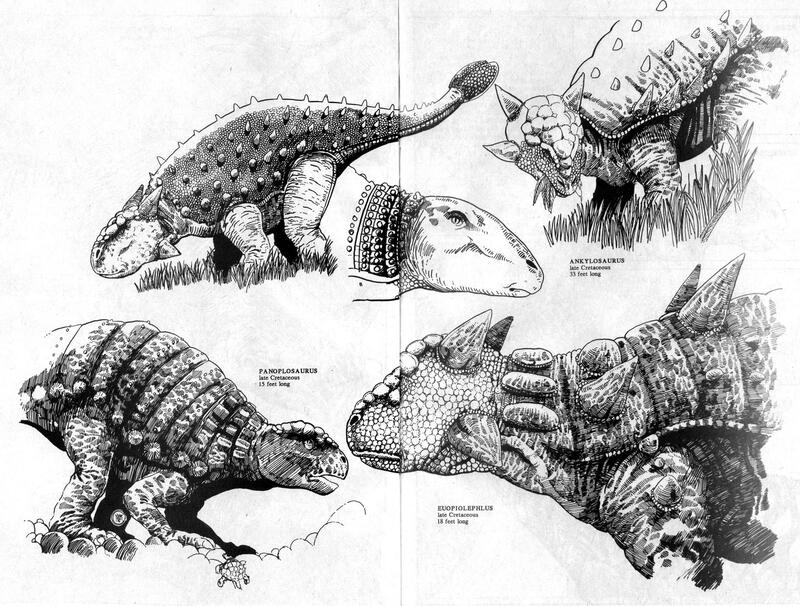 Charles Yates’ Dinosaurs: The Ankylosaurs! 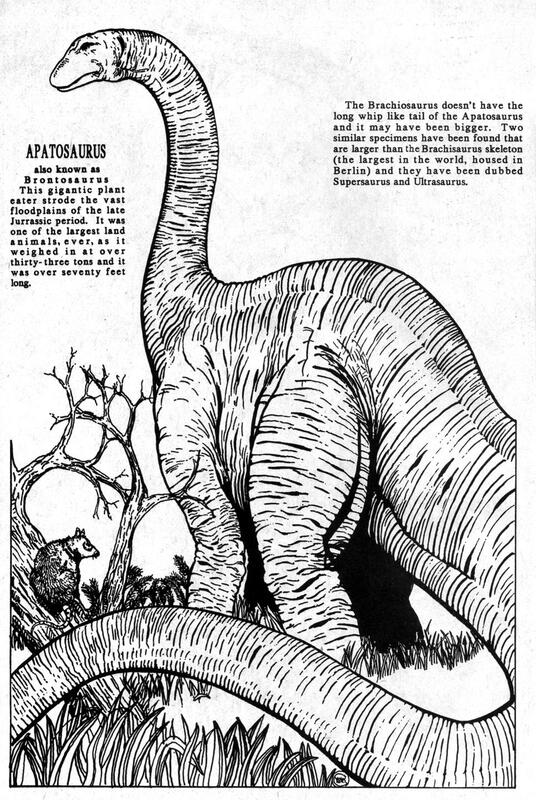 Sitting in with Anklosaurus today are special guests Panoplosaurus and Euopliolephlus! Rock! 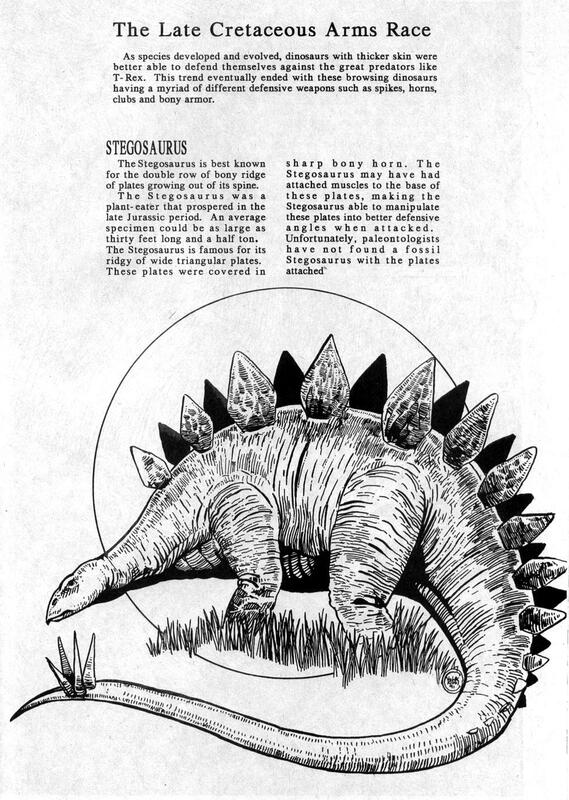 Charles Yates’ Dinosaurs: The Hadrosaurs! 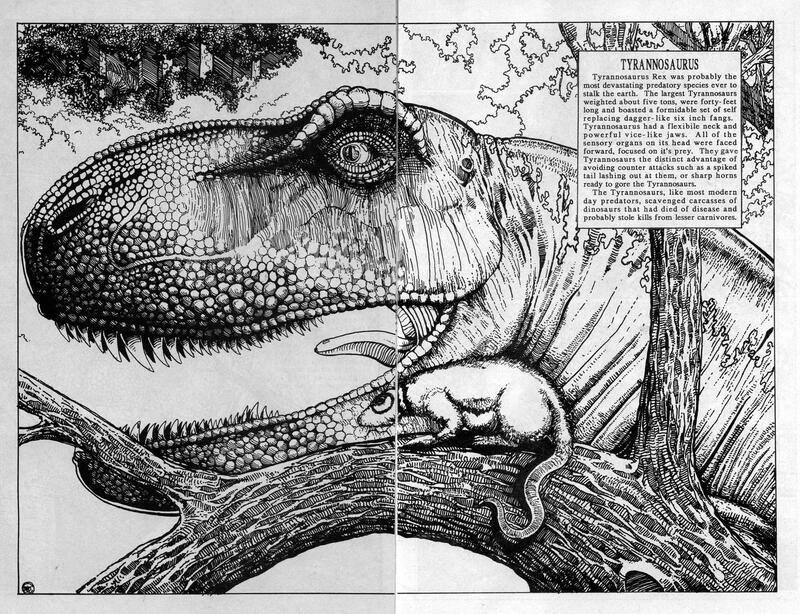 Nothing beats using a torch to fight a dimetrodon – unless that dimetrodon is also trying to eat a cute, helpless baby. Truly demented! Featuring a smilodon, a cro-magnon man, and a Tyrannosaurus Rex, the Twilight World has no sense of actual pre-history – but it sure is a lot of fun! 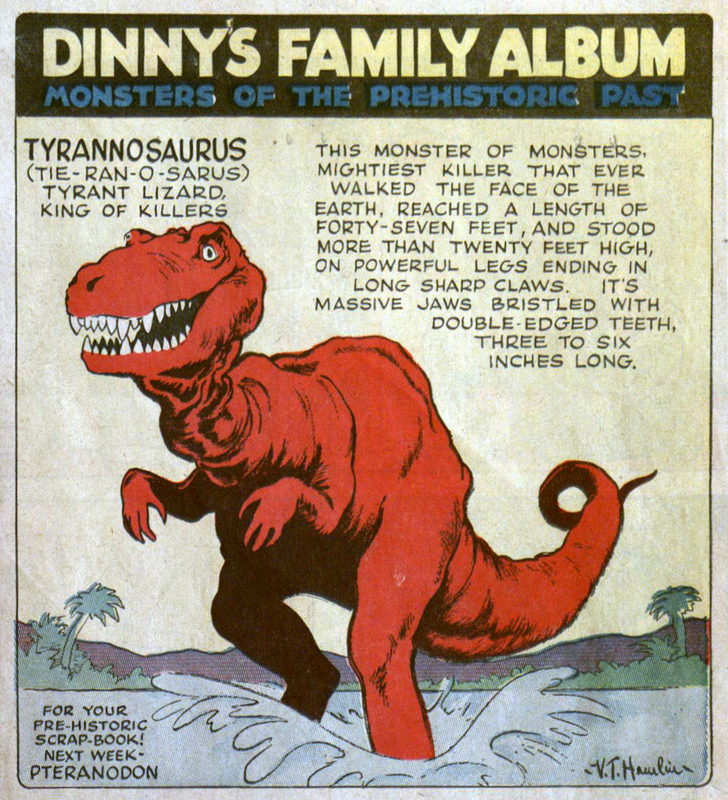 – From Amazing Adventures #3; Marvel, 1961. – Reprinted in the Amazing Fantasy Omnibus #1; Marvel, 2007. Marvel published multiple series entitled “Amazing Adventures.” Don’t get this one confused with the 1970 Amazing Adventures. 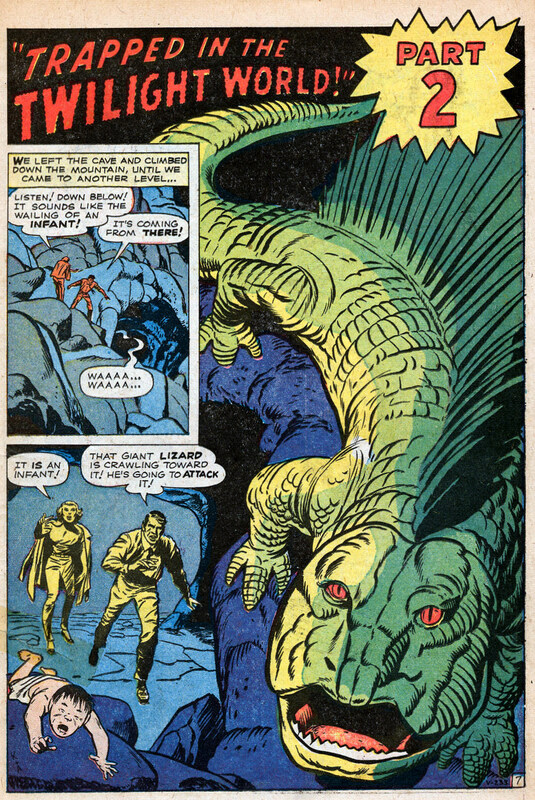 That was the one Kirby kicked off with stories about the Inhumans. 2000AD: Flesh Finale – The Cover Gallery! 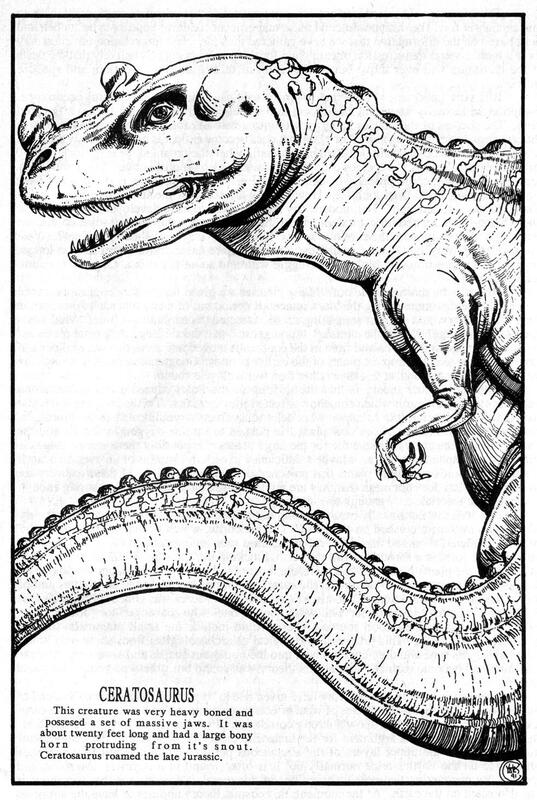 We hope you’ve enjoyed the raging dinosaur Time Travel madness of Flesh as much as we’ve enjoyed sharing it with you. To wrap things up with a bang, let’s rock these three 2000AD covers that featured Flesh! 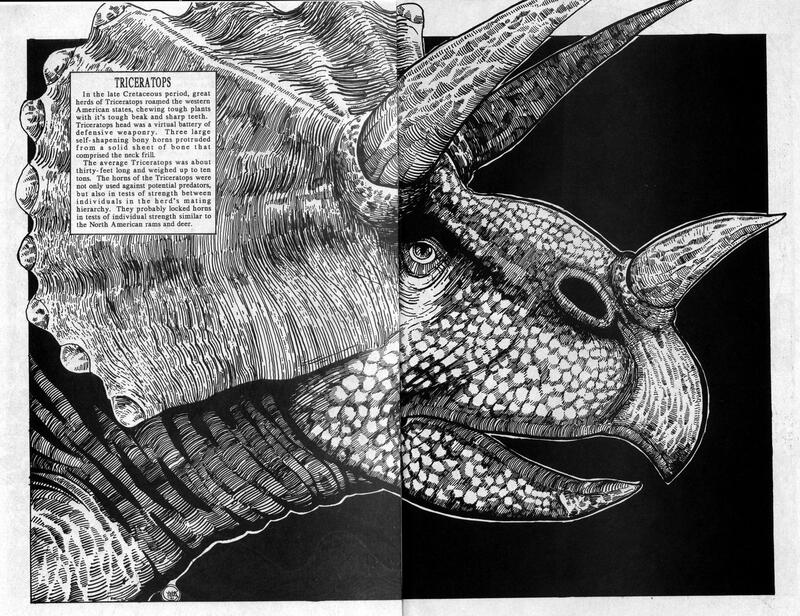 – From 2000 AD magazine, #1-19. 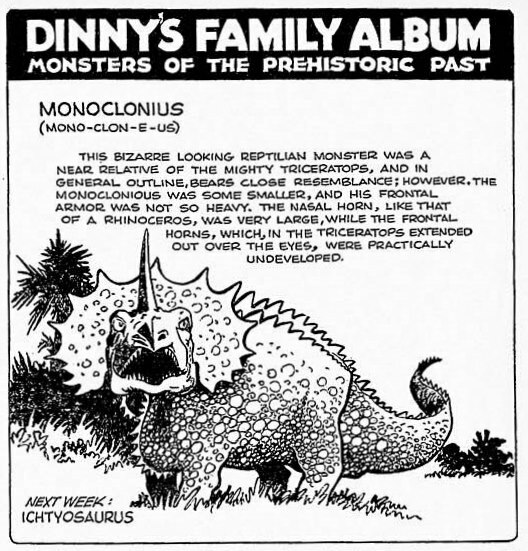 – Collected in Flesh: The Dino Files TPB; Rebellion, 2011. 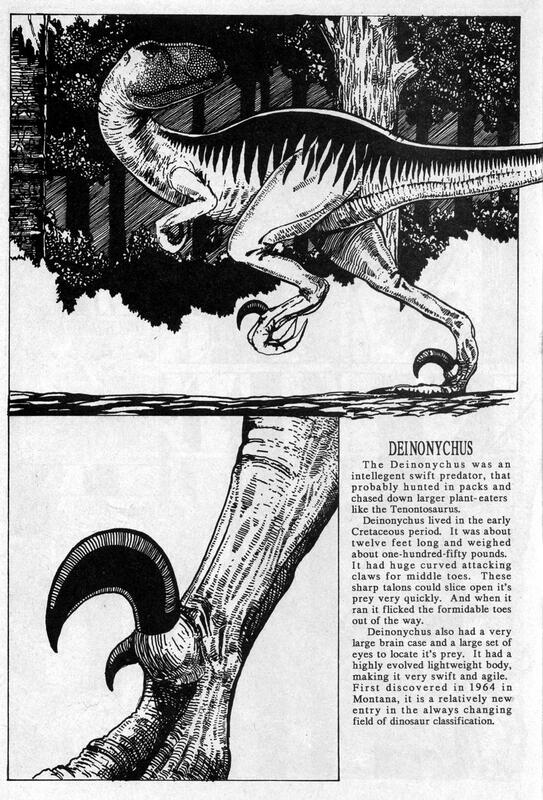 – Originally printed in 2000 AD #1-19; Fleetway, 1977. 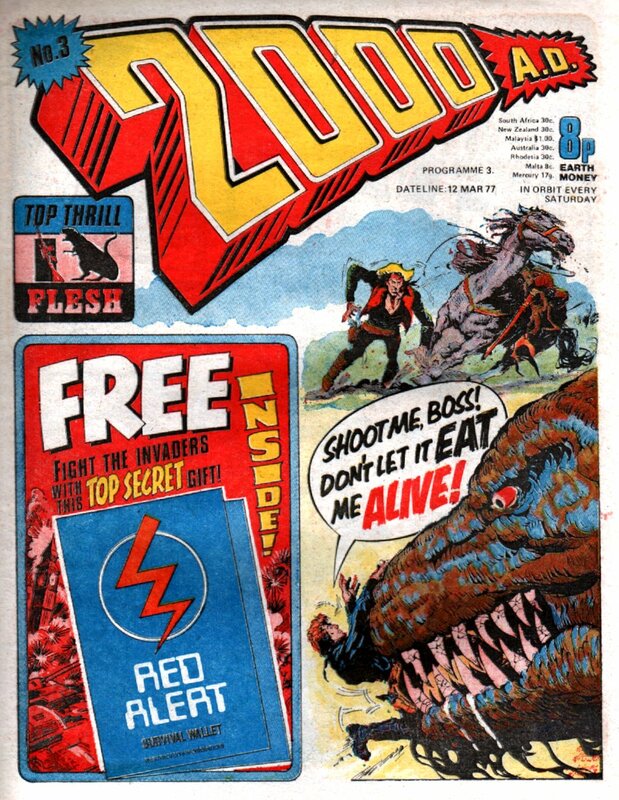 2000AD: Flesh 20 – The Flesh Game! Hey – Wait a minute! Didn’t we already rock all 19 episodes of Flesh? That’s right, Martian. We sure did. 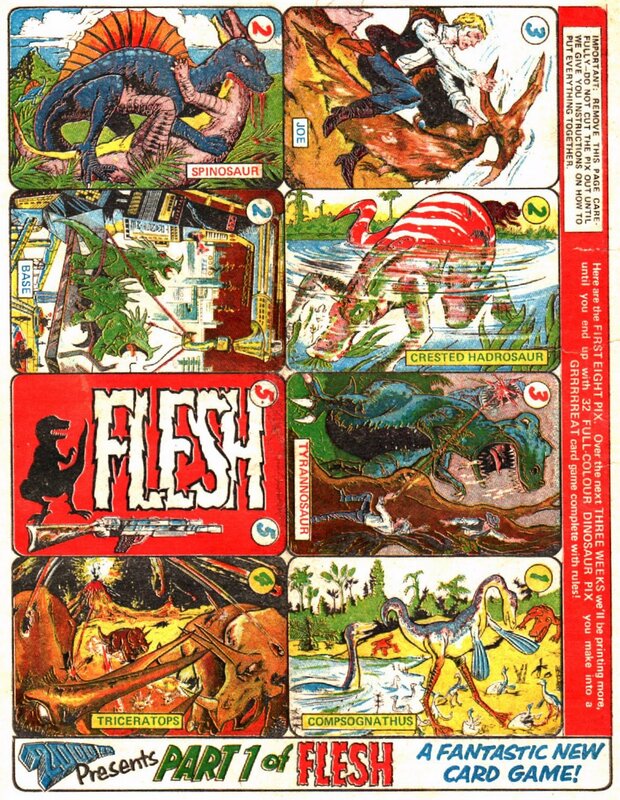 But it wouldn’t be complete without The Flesh Game! 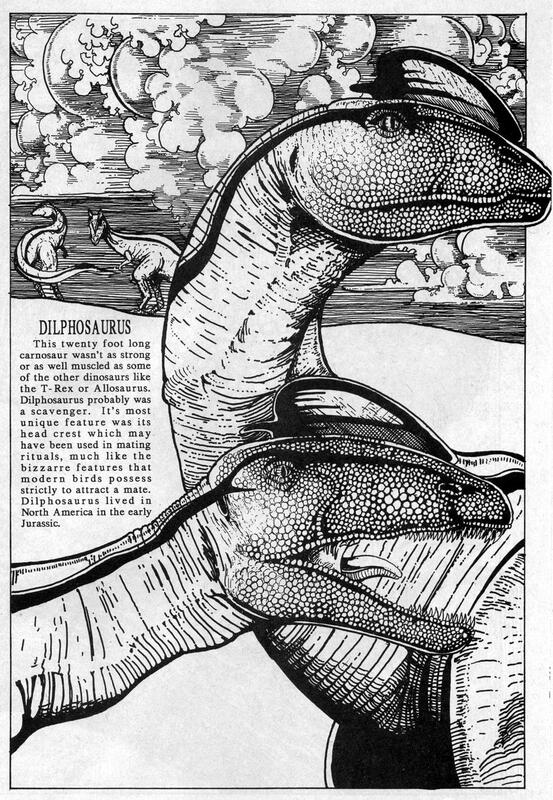 Dig these dinosaur cards designed to play this twisted game which must have come from the mind of Pat Mills. Note: the collection, while awesome, does not include The Flesh Game.